As part of a workshop hosted by Project61 and Versalume, Ezgi Ucar and I worked on germicide textile prototypes. How do you make a textile that can kill germs? 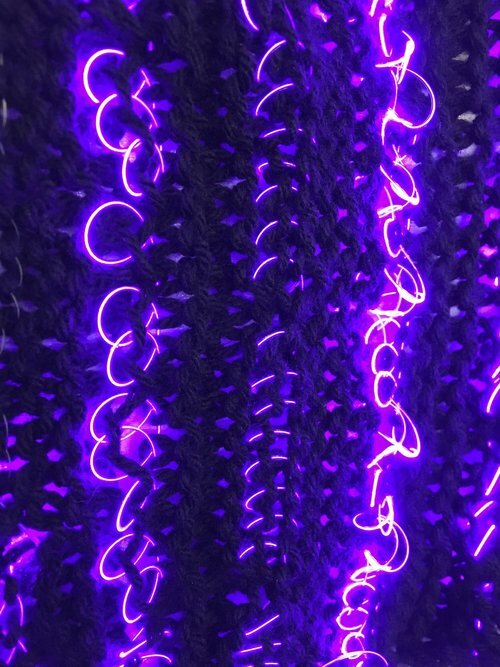 By using Versalume's flexible fiber optic lighting and a UV-C light, it's possible (in theory) to weave germ-killing functionality directly into a fabric. 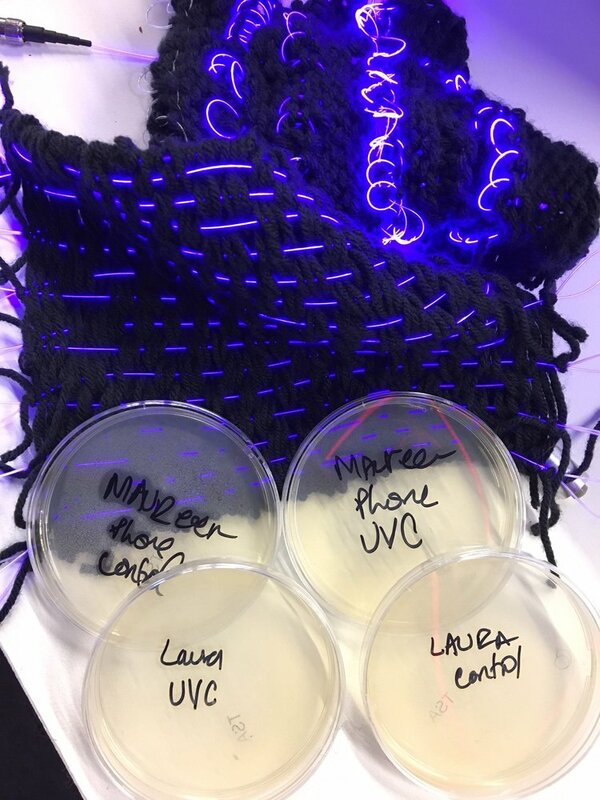 Unfortunately, focusing incoherent light from our UV-C light source into a Versalume fiber optic channel wasn't possible in a short period of time, so we weaved and knitted concept swatches and documented the light functionality to prove out the theory that this could work. We were interested in exploring this concept as a demonstration of how functional fabric can truly be. Imagine steralizing any surface by "wiping" it down with a UV-C cloth. Instead of applying chemicals or moisture, waving the cloth over a surface would be enough to kill dangerous bacteria. 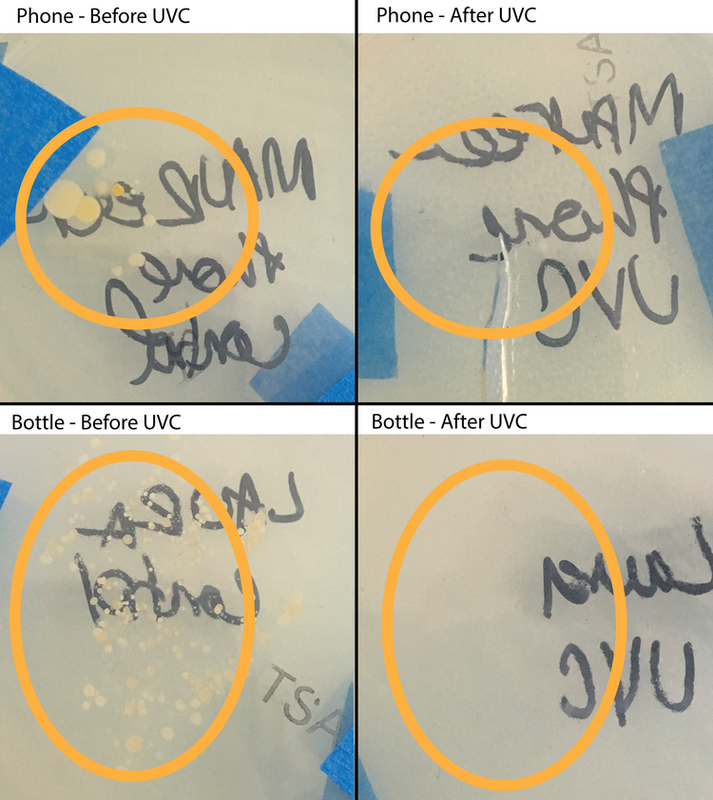 In our experiment, we took control samples from two surfaces - the mouth of a plastic waterbottle and the back of a cell phone. UV-C light was left on each surface for 30min and then re-sampled. The samples were set in agar trays and placed in a warm area to grow for 72 Hours. 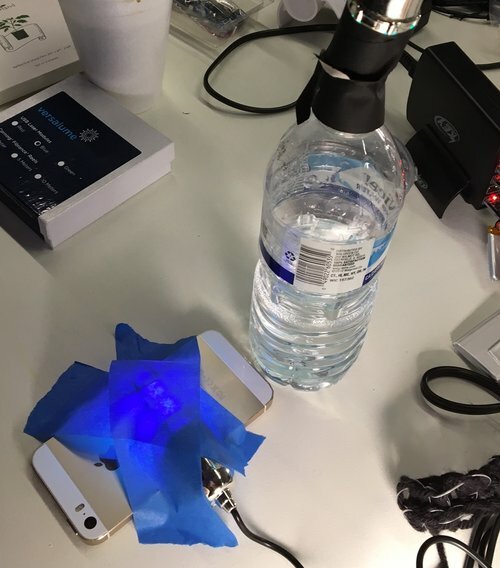 Killing bacteria with UV-C light after sampling two household objects. 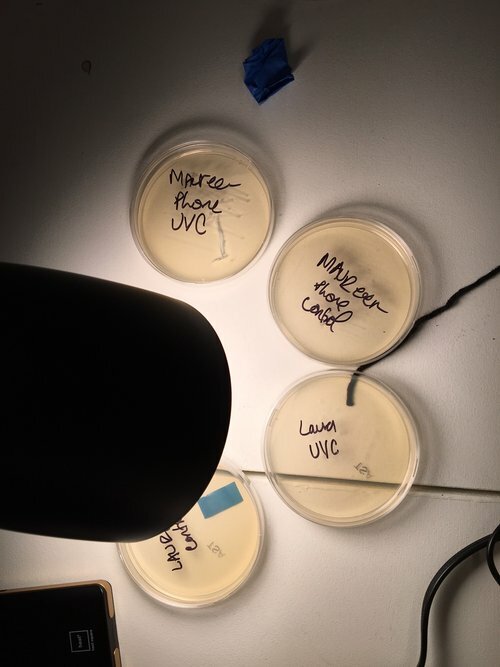 ‍The documented bacterialgrowth demonstrate that UV-C light is quite effective at killing bacteria on everyday objects. Versalume's fiber optic material is incredibly thin and has a great bend radius. While it will snap if creased or folded onto itself, it has enough flexibility for knitting and weaving. We're excited to following the company as the product develops. Hopefully this kind of functional textile will be something that's useful and manufacturable in the future.